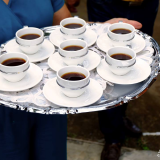 The Extension Service, which provides technical assistance to coffee farmers, impressed international observers from Cornell and Illinois universities, in the United States, who catalogued it as one of the best in the world. 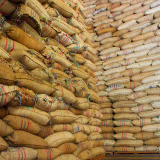 The Extension Service of the Colombian Coffee Growers Federation (FNC), which provides technical assistance and permanent support to Colombian producers, is among the best in the world, according to international observers. This service certainly plays a key role in the high quality of Café de Colombia, whose unique attributes are recognized by the consumer. Researchers Miguel Gomez and Katie Ricketts from Cornell University, and Benjamin Mueller from the University of Illinois, USA, are part of MEAS (Modernizing Extension and Advisory Services), an international initiative that follows the modernization of extension and advisory services in the world. 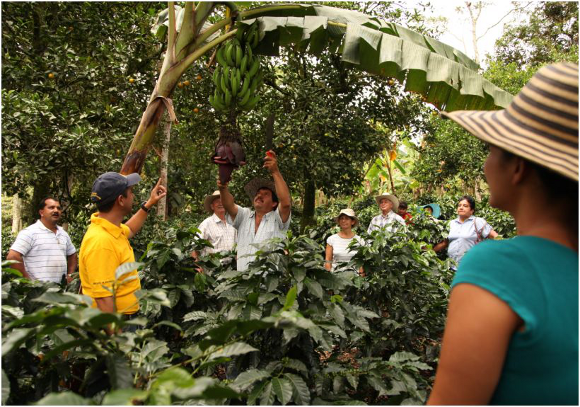 As part of a study in 17 Latin American, Asian and African countries, they visited different regions of Colombia to become familiar with the Extension Service of the Federation, and were impressed by the ‘army’ of more than 1500 experts that provide technical assistance to coffee producers. They were not only impressed by the dimensions of the service, serving more than half a million producers, but also because of its comprehensive, flexible and adaptable model for the specific needs of each region, working with committed technicians who know how to communicate with the producer and inspire trust, among other strengths; and above all, by construction of social fabric in the coffee growing communities. So much so, that the experts recognize that the Extension Service is a benchmark not only for other agricultural sectors in Colombia, but for the world. 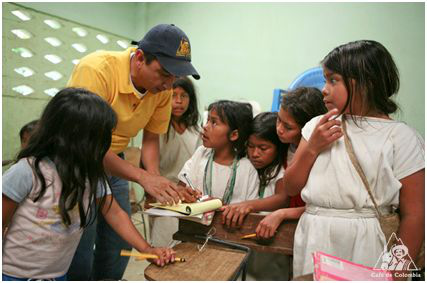 MEAS is a global project that looks to modernize, evaluate and advise extension services in the world, financed by the US Agency for International Development (USAID). It consists of 16 separate entities, including the prestigious universities of Illinois and Cornell. This assessment allowed the FNC to know where its Extension Service is placed with respect to other countries, what are its strengths and those areas needing improvement. “We found that the FNC’s Extension Service is a jewel. By comparing it with what other leading organizations in the world are doing, the Colombian coffee-growing Extension Service not only develops the activities carried out by the most sophisticated assistance services for rural producers, but even more,” Gomez explains. 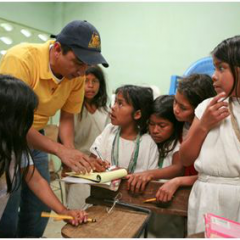 Benjamin Mueller emphasizes that while other models focus almost exclusively on technical assistance and production, the Colombian model is comprehensive, as it attends to social aspects, community and associative development and support to families. Gomez, meanwhile, stressed that the leadership and commitment of the Colombian coffee growers to maintain healthy crops, with a very cleverly planned renovation program, are a unique reference and will yield very positive results in the next three years. Another recognized strength is that the FNC’s Extension Service has a very horizontal and decentralized organizational structure, which favors closeness with the producers. ”More than passing the exam: they received an excellent rating. They must be very proud of the work that they are doing,” Mueller emphasized. In terms of education and knowledge transference, Gomez states that the Extension Service even makes up for lacks left by other entities, such as giving better access to credit. “The extension service is going beyond what is expected. It’s meeting the needs of producers that are not met by other sectors,” he says. In terms of sustainability, the producer’s conviction on the importance of protecting the environment, even if it means higher costs, arises in large part from the confidence in the extensionist and the scientific knowledge that is behind. It should be remembered that the Extension Service not only assists the grower on good practices for crops, but also on harvest and post-harvest practices, as well as productive phases that have a high impact on the final quality of Colombian Coffee. You are invited to learn more about our coffee family and our products, visiting the BEAN & BEYOND sections on the top of this page. Thanks to the commercial work of the FNC, Café de Colombia is present in the mind and taste of more and more consumers in different corners of the globe. With “Cenicafé 1”, Colombia remains at the forefront in development of coffee varieties that are highly productive, resistant to diseases and with the highest cup quality. 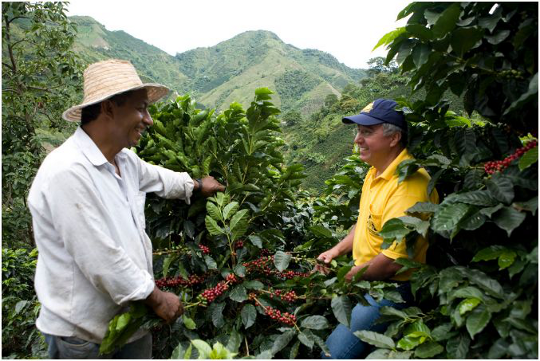 Café de Colombia has made significant progress towards the goal of being 100% sustainable by 2027.